If it's spring then it must be time for the irises. This is the Common Iris and you see it everywhere in the south of France. And as you can see we've had rain lately - something the land has really needed. Si c'est le printemps alors c'est aussi le temps des iris. Voici l'Iris Commune comme on en voit partout dans le sud de la France. Et comme vous pouvez le constater, nous avons eu de la pluie ces derniers temps - une chose dont la terre avait vraiment besoin. So beautiful, I had these in my backyard. They really didn't last too long. But we enjoyed them while they were in bloom. I don't think there is such as thing as a "common iris." We have a friend who named her daughter Iris. Your photo shows why. 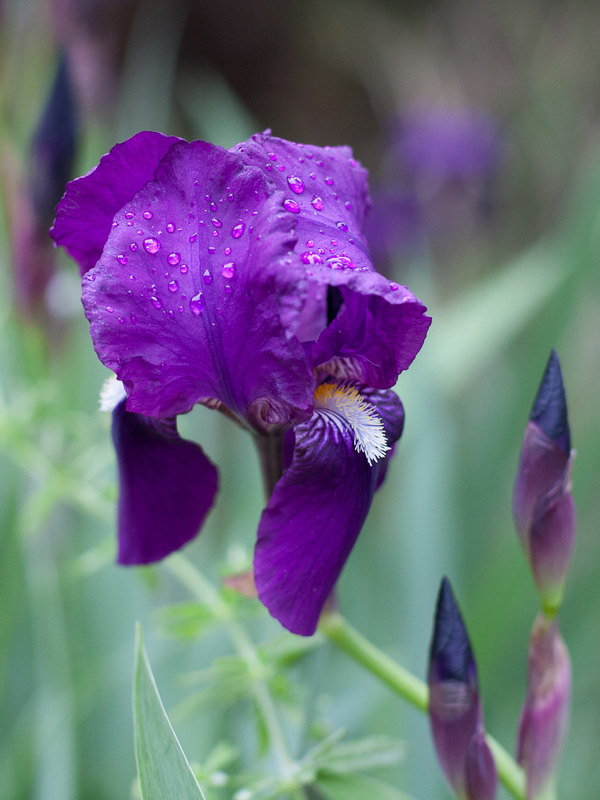 I have several iris plants of the same shade that I enjoy immensely. Magnificent...I love the rich colour of these iris. Common? NON, not through your lens! I love irises. Both the delicate petals and fragrance. 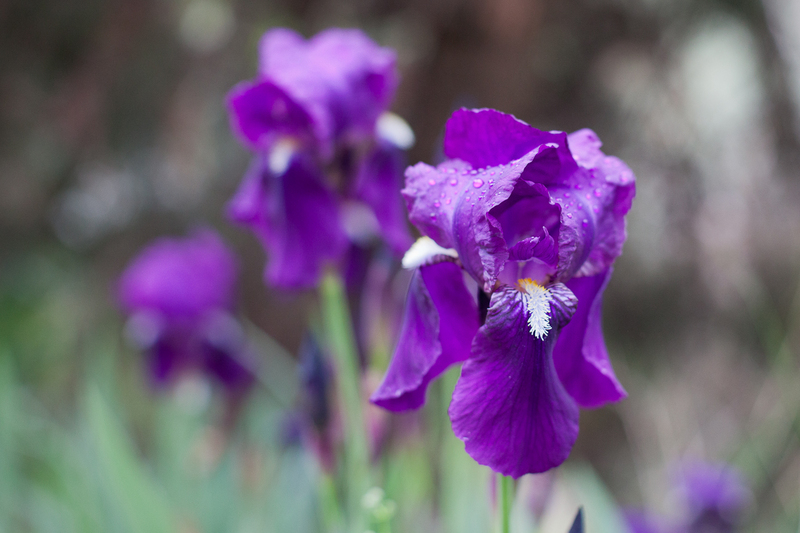 The iris takes its name from the Greek word "rainbow" and the particular variety you've showcased in your photo is one commonly called the German or bearded iris. There is nothing common about your photograph or the flower. I would call it the exquisite iris! A seasonal post I just love. Both your photos are wonderful - sharpness, colour, raindrops and depth of field. I love irises. I'm about to post about them too.